October 60 years ago Sputnik was launched and this October Scouts celebrate 60 years of JOTA. A South African Amateur Radio Balloon launch is a convenient connection between them. October 4, 2017, marks the 60th anniversary of the launch of Sputnik, the first artificial satellite. It operated for only 92 days and did not carry any specific scientific equipment, but its transmitter generated radio signals heard around the world and that marked the beginning of the Space Age. Officially, Sputnik was launched to correspond with the International Geophysical Year, a solar period that the International Council of Scientific Unions declared would be ideal for the launching of artificial satellites to study Earth and the solar system. Sputnik’s official designation was “PS-1” or “Elementary Satellite 1” in Russian. Traveling at 18,000 miles an hour, its elliptical orbit had an apogee (farthest point from Earth) of 584 miles and a perigee (nearest point) of 143 miles. Visible with binoculars before sunrise or after sunset, Sputnik transmitted radio signals back to Earth strong enough to be picked up by amateur radio operators. Sputnik was in the form of a sphere, 23 inches (58 centimeters) in diameter, pressurized with nitrogen, it weighed 184.3-pound (83.6 kg). The craft’s primary function was to place a radio transmitter into orbit around the Earth as it circled Earth once every hour and 36 minutes. Four radio antennas trailed behind. Two radio transmitters within the sphere broadcast a distinctive 'beep-beep' sound that was picked up all over the world. Silver-zinc batteries powered the transmitter for 22 days before giving out. After about three months, in January 1958, Sputnik’s orbit deteriorated, as expected, and the spacecraft burned up in the atmosphere. 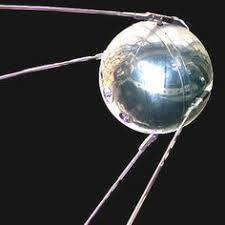 .Despite its simplicity, Sputnik 1 also served science. The USSR built a network of observational stations throughout the country to track its path. Based on those observations, researchers obtained new information on the atmospheric density at Sputnik’s altitudes, and a new branch of science was conceived—space geodesy. Special call sign R60SAT will be active from 00-00UTC October the 1st 2017 till 23-59 UTC October the 8th 2017. This activity is to commemorate the 60th anniversary of the launch of the world’s first artificial satellite orbiting Earth. The theme “60 Years Connecting Scouts” recognizes the start of the event in 1957, commemorating growth in expanding communication channels activated on the third weekend in October, 20 to 22 October 2017. Those channels include communication via radio, Internet, social media, ScoutLink and IRC chat services, Skype, and more. It also recognizes the goal of the event – connecting Scouts This allows them to discover geographic and cultural differences and similarities. Plus, they are exposed to the technology that makes all this happen. 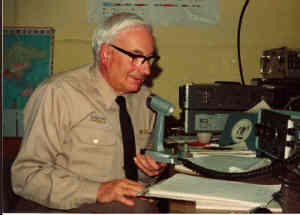 Founder of JOTA ( Jamboree on the Air) Les Mitchell - G3BHK (1923- 2014) died on October 6, 2014. The young Les Mitchell was a sea-scout and later joined the Royal Navy, where he was trained in radio. He spent a year in the U.S.A. and another in Australia, becoming a Scout Leader in both countries. When he became a radio amateur, with his own call sign G3BHK, what struck him was the similarity between Scouts and Radio Amateurs in the friendly way they transcend class, creed, colour, religion and political boundaries. In 1957, a World Scout Jamboree was held at Sutton Park, England, with 35,000 Scouts from 62 countries attending. For the first time at any World Jamboree local radio amateurs installed and operated a large station under the call sign GB3SP (Sutton Park). Scouts and leaders were allowed to visit, as long as they stayed behind the little fence with the flower pots and kept the noise down. There have been changes which have improved the event. One is the change from Amplitude Modulation (AM) to Single Side Band (SSB). The second improvement, the miniaturisation of equipment. In 1958 a single station consisted of several large sized and heavy pieces of equipment; today one can carry a complete station in a small suitcase and assemble it within a few minutes. It is only the aerial which still needs the same amount of installation time as it did in the past! With the advent of the Internet, and following the same concept that JOTA had used for decades, amateur radio is still making long-distances contacts. In 2013, the World Scout Committee decided to join JOTA and JOTI together into one big event. Launch of BACAR 5 will be at Trichardt Model Airplane grounds, near Secunda, 21 October 2017. Frequencies will be confirmed closer to the launch. Chase teams are always welcome. High-altitude balloons are unmanned balloons, usually filled with helium or hydrogen, released into the stratosphere, reaching between 60,000 to 120,000 feet (18 to 37 km). Launched into what is termed "near space" the area of Earth's atmosphere where there is very little air, but where the remaining amount generates too much drag for satellites to remain in orbit. ARHAB often flown by students and by amateur groups for both scientific and educational purposes, do not require many resources for conducting a launch. A flight consists of a balloon, a recovery parachute, and a payload. Most flights use an Automatic Packet Reporting System (APRS) tracker which gets its position from a Global Positioning System (GPS) receiver and converts it to a digital radio transmission. Other flights may use an analog beacon and are tracked using radio direction finding techniques. Long duration flights frequently use high frequency, custom built transmitters and slow data protocols, to transmit data over great distances using little battery power. Other payload components may include sensors, data loggers, cameras, amateur television (ATV) etc. Use of amateur radio transmitters on an ARHAB flight requires an amateur radio license, but non-amateur radio transmitters are possible to use without a license. Via Echolink in July 2013, Barb heard “The Breakfast Club”, hosted by Don McLain, KB8RAD, of the Central Michigan Amateur Radio Club. Barb expressed an interest to Don about a ladies net in Wichita. Don introduced Barb to his wife, Julie, KB8ZXR, who was running a “Lady's Tea Time Net” in the evenings, on Echolink. On July 19, 2016, the ladies had their first net.. Presently, 19 ladies are participating. Typically, nine to 11 ladies participate in the net. The objective is to be able to communicate, make friends, share interests and remember Glenn’s golden rule! I passed my General in October of 2013 and my Extra in April 2017 In my house there is always a new radio to learn! I am well versed in computers so naturally I want to manage the radio through software. I have a Yaesu 817, 897, 857, 920 and a Kenwood TM-V71. I interface them to Ham Radio Delux and Signalink working with PSK31 using fldigi. I use a vertical antenna called a Grasshopper, an Alpha Delta DX-CC Dipole for HF and a GP6 for UHF/VHF up about 20 feet. I started a local Ladies Net on a 70 Centimeter UHF repeater and it is now tied to the KanOkla Intertie System. 5 November PEARS HF Contest	RSA/ Ballarat Hamvention 2017 Aus.